All Xarelto lawsuits, including lawsuits to be filed by Maryland residents, will be consolidated before U.S. District Judge Eldon E. Fallon in the Eastern District of Louisiana. This happened quickly. 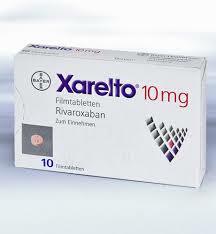 Xarelto came on to the market three years ago. 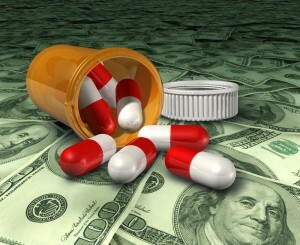 Now there is a class action type MDL that has been created because there are too many lawsuits. This does not speak well to this drug and it does not speak well to Johnson & Johnson and Bayer, who introduced Xarelto with so much pomp, circumstance and excitement that it might be a drug that could really change the quality of people’s lives. I always call an MDL a “sort of” class action. All federally filed cases — which is the vast majority of these claim and virtually all of the Maryland claims — are consolidated under one federal judge in a single jurisdiction, Louisiana in this case. When a lawsuit is filed, the lawyers have an opportunity to conduct discovery where both sides get a chance to learn about the case. In the Xarelto lawsuits, there are some facts common to all of these claims. The biggest issue is going to be what Bayer and J&J knew or should have known about the bleeding risks associated with Xarelto. Baltimore Dialysis Injury Cases: What Happened? If you are on dialysis, you are vulnerable. Obviously. The last thing you need is someone who pretends to provide a product that helps while actually knowing that the product is going to create a risk to dialysis patients. That appears to be what we have in these Fresenius NaturaLyte and GranuFlo cases. What Is the Cost of a Mass Tort Lead? I get so many emails from so many marketing companies. Just today I got an offer to write a guest post on this blog (no), an email telling me that I rank poorly in Salisbury, Maryland on the search engines (he’s wrong), and two more random emails from companies telling me they are the best in the world at getting me to the top of the search engines (unlikely since, you know, you are spamming me). An MDL Panel ruled this week that any Actos lawsuits filed in federal court in Maryland will be consolidated in Louisiana. Actos is another drug for type 2 diabetes that has helped treat diabetes but can get the patient into problems that they did not anticipate (Avandia has also had its share of problems). With Actos, studies have shown that people who take Actos for more than a year are 40 percent more likely to develop bladder cancer than those never exposed to Actos. The FDA is currently investigating a possible association between the diabetes drug Actos (pioglitazone) and an increased risk of bladder cancer. Actos is commonly prescribed to treat type 2 diabetes and works by increasing the body’s sensitivity to insulin. It is usually taken once a day by mouth. By all accounts, Actos helps treat type 2 diabetes, which is undoubtedly an awful disease. But there are other diabetes options where there is no suggestion of a link to cancer. The questions that doctors are going to have to answer are whether Actos is worth the risk of cancer and whether there are other less risky options available. Ultimately, juries are also going to be asked these questions, too. They will also have to dig into the other question: what did the manufacturer of Actos know or should it have known about the association between cancer and Actos and should they have issued a recall for Actos or at least provided a warning of the risk? 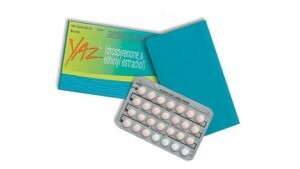 The Drug and Device Law Blog writes whines about inadequate fact sheets in the Yaz Yasmin MDL. Plaintiff Fact Sheets are basically questionnaires that serve as interrogatories in mass tort cases. In the Yaz/Yasmin cases and other MDLs, they are really agreed upon case specific interrogatories. If nothing else, fact sheets cut through the bickering of what defendants may legitimately ask. They could call them “agreed upon interrogatories” and it would mean the same thing. What would your reaction be if the results of a football match were reported as 5:0 by one of the teams and as 3:1 by the other team? This editorial underscores a point that I think the “FDA approval is the gold standard” crew completely ignores: it is painfully easy to rig drug testing to get the desired results at any stage of the research and testing process. Most of the injuries were at the end of the study? Change the end point. Most of the adverse effects were in patients with blonde hair? Take them out of the study.